23rd October 2018: You’re already thinking about the makeup wizardry you’re going to perform this Halloween, but have you thought about how you’re you going to get all of that magic off your face before you fall into bed? PRIMER: Use a primer before you apply your make-up! Not only will this help your makeup go on more smoothly and stick throughout the night, but it can also protect your pores from all the potential clogging from face paint and glitter. Try a peel-off primer which will help to create a complete barrier between makeup and your skin. BALM CLEANSER: Use a balm cleanser to break down makeup quickly, rather than spending ages scrubbing at your skin with your standard makeup remover. Gently smother your skin in the balm, then press a hot flannel against the skin for a minute or so to help the makeup ease off. FACIAL CLEANSING BRUSH: Avoid scrubbing skin within an inch of its life. Be kind and gentle. 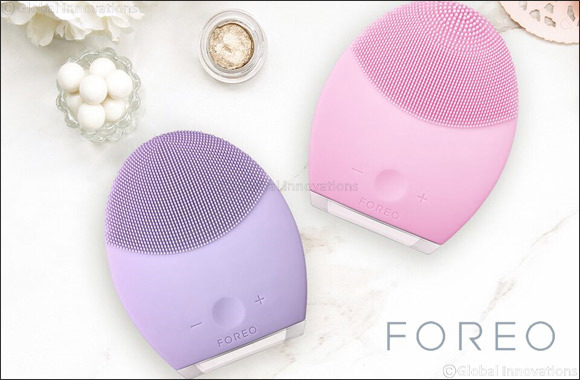 A silicone brush like FOREO’s LUNA 2 is gentler than a nylon bristle brush as the soft, smooth nodules on the bush head are far less abrasive and also more hygienic - meaning less chance of irritated skin and breakouts!